You must be thinking that, can a small business get more local customers using Facebook and social media? Yes, it’s quite easier than you think and if you perform right techniques in the right manner. The small business owners cannot afford to ignore social media marketing. According to a recent survey, there are 1.8 billion Facebook users, out of them 1 billion are actively using on a daily basis while 40 million are small business owners. Now let’s face a hard truth; people don’t want to hear/see about your products and services all the time, but why? The answer is, what if they have been bombarded with daily ads for TV, radio, billboards and web. Rolling out regular updates and how to especially made tools can cultivate your online presence. Lots of successful business have incorporated Facebook into their marketing plans, however, most of them don’t execute the plans right way. Therefore, to utilize the most of it you need to learn how to utilize Facebook for social media marketing. Now let’s learn the Don’ts of using Facebook when finding potential customers. You might have heard many times that actions speak louder than words. Similar is the case of Social media marketing with Facebook. A small business has the best advantage to speak directly to its followers through videos. Studies have shown that Facebook campaigns with the use of multimedia generates 65% more engagement than that of written post. Don’t just take the words; try it to believe it. Responding to your customer queries on time is highly important. According to a recent report on Facebook, customers expect a 60 minute response time, no matter what positive or negative comments they post. Take some time out of your set schedule to crop them out as avoiding them will only create a disappointment. 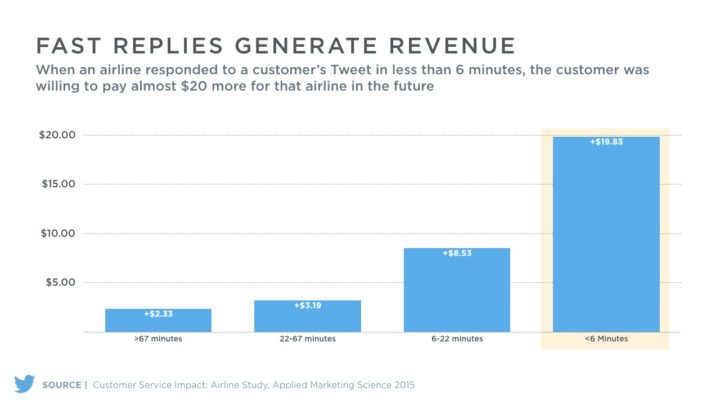 Applied Marketing Science has shared a graph showing how the fast replies (to customer’s feedback or queries) generate revenue. And it is self-explanatory to understand the significance of this factor. It’s good to understand that audience outreach and frequency matter, but up to some extent. At the end of the day it all comes to getting more clients. However,the outcomes of those reach are of some importance. Everyone wants his Facebook followers to be engaged through the post, videos, photos and other stuff. But this only creates an illusion of true engagement, especially if these are related to entertainment and not directly related to your brand. In short, a higher follower count (as in the above image) is great but your primary focus should not be getting likes or followers only. Instead, you have to acquire followers (for social media on Facebook) that ultimately turn into potential clients. Engaging your customers with frequent posts per day is useless. Instead of that , create a high quality post that brings customer to buy your products/services. Think yourself as a marketing consultant, your role must be getting more clients, isn’t it? Well, the answer is yes, but not to the point where the customer starts irritating. But, what does this mean? Sometimes people hate to be sold to, and the more you convince, the more they will ignore you. So, you need to craft cool posts like the ones attracting customers through a 40% discount offer or something similar in promotion. 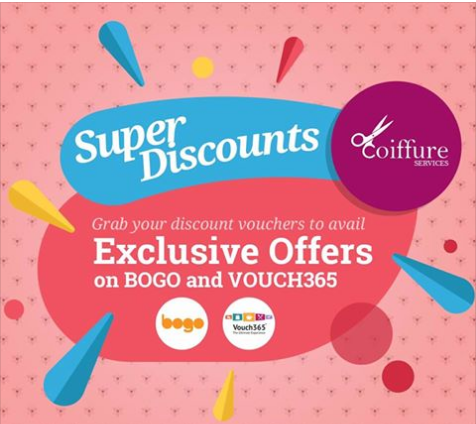 Offering exclusive offers, discount vouchers or seasonal sale is a great tactic to turn your followers into clients. This way they will not feel they are being sold to or convinced to try your product/service. Similar to our 8 methods to get local active Twitter followers, you will get to know the interesting ways to reach a local audience on Facebook. The Facebook groups that are interest-based and relevant to your business will help you connect with new clients. This is an organic method of connecting with people in your community. Propose some events and be a sponsor to the activities. It will work well with connecting with your local clients. The Facebook’s dark posts tool is a great way similar to Facebook ads; it allows you to put target market to specify who can see your post in their news feed. Through this, you can reach only local clients with social media on Facebook. The same could apply, if you have several other pages with the relevant posts to reach respective market. One of the easiest ways to get customer engagement is asking an interesting question to them. So that they are compelled to reply back. These questions might be irrelevant to what you are offering, but at the end of the day they are seeing your page. A survey can give you better insights about the customer’s feedback on any of your product/services. Using compelling images to ask questions rather than using plai text. Ask the users for valuable tips (on something that is obviously related to your niche). This will bring a massive engagement that might turn into a profitable clientele. For instance, if you are using dark post, then sharing an offer code with the target audience is a great idea, that’s how you can advertise to the set audiences. Encourage your page’s followers to check-in whenever they are visiting your office location. This promotes their network of friends and followers to see when they have visited at your location. Facebook is very smart; it’s just when people check-in it automatically suggest different status. So, whenever you add actions to your check-ins, it becomes a word of mouth for others. Hence, a good chance for friends of friends to view your page and shop too, maybe. People are always keen to know your backstory. Connect through letting them know your story with social media on Facebook. What if you are planning to host any event for your business? Consider promoting it by sharing with friends through a Facebook event. No matter your event is in-store or a webinar, live contest or Q/A session of celebrities; use Facebook events to grab attention towards your brand and eventually create new clients. You can also add a location to the event on your Facebook page and promote it through the posts. This is one of the easiest ways you can get new clients on Facebook. For instance, some local businesses will co-host an event for Halloween. They have created an event page on Facebook. Promoting the events will definitely give you an edge over others while grabbing local clients with social media. People love to acquire free stuff. And winning exciting prizes or deals is a great way to grab their attention. So, you can start interesting Facebook giveaways or contests. This is a surefire way to grab local clients with social media on Facebook. This way, you will have more users engaged with your content and they will be finally converting into potential clients. 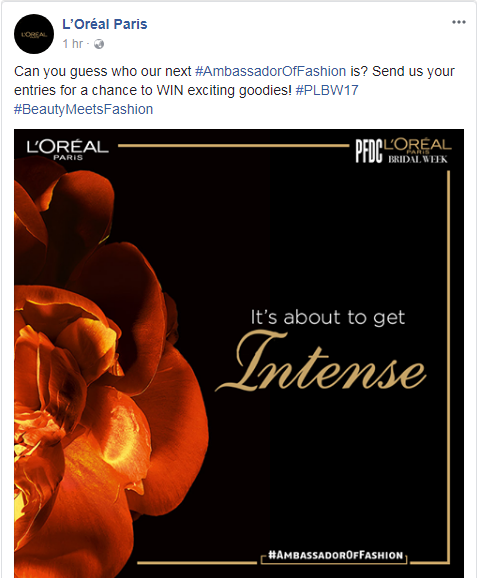 L’oreal Paris has started a contest that asks customers to guess their next Fashion Ambassador. And the winners will have chance to win exciting prizes and goodies. 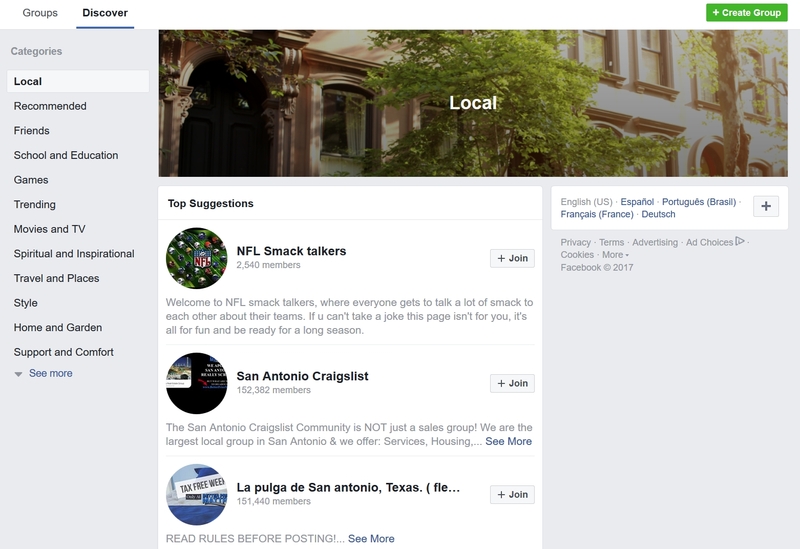 We have also shared some tips for acquiring local clients with social media on Facebook. Planning your social media marketing strategy and executing it in right way will get you more and more clients. Have you used any of the above ways to increase local audience on Facebook. Share your thoughts with us in comments section. © 2017, Social Media Consultant. All rights reserved.